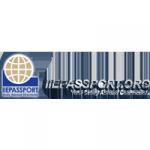 The IIEPassport Study Abroad Directories is a joint project between the Institute of International Education (IIE) and EducationDynamics providing an online directory of study abroad programs for students. The IIEPassport Study Abroad Directories is a joint project between the Institute of International Education (IIE) and EducationDynamics. Our directories of study abroad programs have been the standard for the industry for over 50 years and are available in a print, IIEPassport Study Abroad Directory: The Complete Guide to Studying Abroad as well as online at www.IIEPassport.org. We also provide a directory of StudyAbroadFunding.org, an online directory of study abroad funding opportunities. The Institute of International Education (IIE) is the world leader in the exchange of people and ideas. IIE designs and implements programs of study and training for students, educators, professionals and trainees from all sectors with funding from government and private sources.